Colour photographs of buildings in and around Rhayader, taken by Bryan Lawrence. Collection of black and white photographs (with negatives) documenting the construction of the extension to the 1936 Welsh Office building in Cathays Park, Cardiff. Alcock, N. W. 2003. Documenting the History of Houses. London: British Records Association. Ashley, S. (ed.). 2014. Landscapes and artefacts: studies in East Anglian archaeology presented to Andrew Rogerson. Oxford: Archaeopress Archaeology. Bahn, Paul G. 2009. Britain’s oldest art: the Ice Age cave art of Creswell Crags. Swindon: English Heritage. Barson, Susie & O’Rourke, Martin. 2001. The Peabody Estates: Conservation Guidelines. Swindon: English Heritage. Beaton, Elizabeth. c2008. Doocoots of Scotland. Highland, Orkney and Shetland. Scotland: Scottish Vernacular Buildings Working Group. Beckensall, Stan. 2009. Prehistoric rock art in Britain. Stroud: Amberley. Booth, P. 2007. The Thames through time: the archaeology of the gravel terraces of the upper and middle Thames : the early historical period, AD 1-1000. Oxford: Oxford Archaeology. Brown, N.A. 2004. The doocots of Scotland: Moray. Edinburgh: Scottish Vernacular Buildings Working Group. Cannell, Sue. c2001. Rural architecture in the North of the Isle of Man. Scotland: Scottish Vernacular Buildings Working Group. Christie, N. 2013. Transforming townscapes: from burh to borough: the archaeology of Wallingford, AD 800-1400. London: Society for Medieval Archaeology. Clark, Kate, (ed.). 2006. Capturing the public value of heritage: the proceedings of the London conference, 25-26 January 2006. Swindon: English Heritage. Cleary, Simon Esmonde. 2013. Chedworth: life in a Roman villa. Stroud: The History Press in association with the National Trust. Connah, G. 2010. Writing about archaeology. Cambridge: Cambridge University Press. Conran, Sheelagh (ed.). 2011. Past times, changing fortunes: proceedings of a public seminar on archaeological discoveries on national road schemes, August 2010. Dublin: National Roads Authority. Copeland, T. 2011. Roman Gloucestershire. Stroud: History Press. Discovery Programme. 2014. 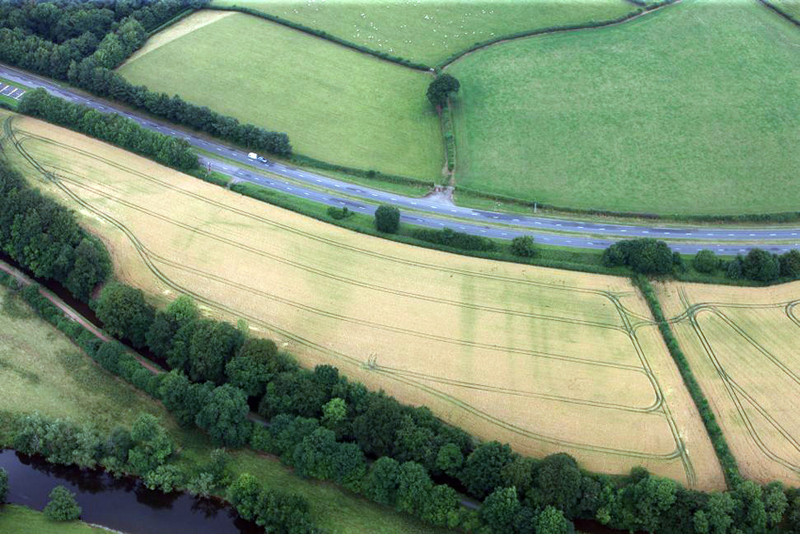 Late Iron Age and ‘Roman’ Ireland. Dublin: Wordwell. Dixon, Philip. 1988. Aydon Castle, Northumberland. London: English Heritage. Doherty, C. (ed.). 2011. Glendalough: city of God. Dublin: Four Courts Press. Eames, Penelope. 1977. Furniture in England, France and the Netherlands from the twelfth to the fifteenth century. London: The Furniture History Society. Endres, Gunter & Hobster, Graham. 2017. Power & Piety: Monastic Houses of Medieval Britain. Volume 4- West Central England and Wales. Gunter Endres & Graham Hobster. English Heritage. 1999. The Heritage Dividend: Measuring the Results of English heritage Regeneration 1994-1995. London: English Heritage. English Heritage. 2005. English Heritage Research Agenda an introduction to English heritage’s research themes and programmes. Swindon: English Heritage. Fenton, alexander. 1981. The hearth in Scotland. Scotland: Scottish Vernacular Buildings Working Group. Fenton, Alexander & Walker, Bruce; 1981. The Rural Architecture of Scotland. Edinburgh: John Donald Publishers Ltd.
Fern, Chris and Speake, George. 2014. Beasts, birds and gods: interpreting the Staffordshire Hoard. Alcester: West Midlands History Limited. Fidler, John. 2005. Discovering the past, shaping the future: research strategy 2005-2010. Swindon: English Heritage. Foard, G. & Curry, A. 2013. Bosworth 1485: a battlefield rediscovered. Oxford: Oxbow Books. Fussell, James; Fussell, Isaac; Fussell, John. 2001. James, Isaac & John Fussell, Limited, Mells and Nunney Works, Frome, Somerset. Manufacturers of Spades & Shovels, Digging and Hay Forks, Hoes, Axes, Picks, Bagging and Reap Hooks, Scythes, etc. [Fussells of Mells: A Reproduction of the Late 19th Century Catalogue of James, Isaac & John Fussell Ltd. Mells and Nunney Works Frome, Somerset. Edge-Tool Makers 1744-1895. Essex: The Tool and Trades History Society. Gardiner, L. 1989. The changing face of Britain – from the air. London: Joseph. Gosden, Chris [et al.] 2007. Communities and connections: essays in honour of Barry Cunliffe. Oxford: Oxford University Press. Hall, Linda. 2001. Down the garden path: privies in and around Bristol and Bath. Newbury: Countryside. Hall, Linda. 2011. Period House Fixtures & Fittings. 1300-1900. Newbury: Countryside Books. Harding, Jan. 2013. Cult, religion, and pilgrimage: archaeological investigations at the Neolithic and Bronze Age monument complex of Thornborough, North Yorkshire. York: Council for British Archaeology. Harris, Richard. 1978. Discovering timber-framed buildings. Aylesbury: Shire Publications. Harvey, Nigel. 1975. Old farm buildings. Aylesbury: Shire Publications. Hayman, Richard. 2005. Church misericords and bench ends. Princes Risborough: Shire Publications. Henig, Martin & Paine, Crispin. 2013. Preserving and Presenting the Past in Oxfordshire and Beyond: Essays in Memory of John Rhodes. Oxford: Archaeopress. Ingemark, D. 2014. Glass, alcohol and power in Roman Iron Age Scotland. Edinburgh: National Museums of Scotland. Jones, G. 2007. Saints in the Landscape. Stroud: Tempus. Jones, Morris Charles. Reminiscences connected with old oak panelling now at Gungrog. Welshpool; Edinburgh [printed]: privately printed. Joy, Jody. 2010. Iron Age mirrors : a biographical approach. Oxford: Archaeopress. Kelley, D.W. 1989. Charcoal and charcoal burning. Princes Risborough: Shire Publications Ltd.
Lambrick, G. 2008. The Thames through time: the archaeology of the upper and middle Thames; the first foundations of modern society in the Thames Valley, 1500 BC – AD 50. Oxford: Oxford Archaeology. Loe, L. 2014. ‘Given to the ground’: a Viking age mass grave on Ridgeway Hill, Weymouth. Dorchester: Dorset Natural History and Archaeological Society. McCann, John. 1995. Clay and cob buildings. Aylesbury: Shire Publications Ltd. Miles, David. 2006. The tribes of Britain. London: Phoenix. Ministry of Works. 1949. War and Architecture in Britain: The Excavation of Ancient Sites and the Preservation of Historical Buildings. London: His Majesty’s Stationary Office. Moran, Madge & Hand, Henry. 2009. A Jacobean ‘Market Hall’ Bishop’s Castle Shropshire. 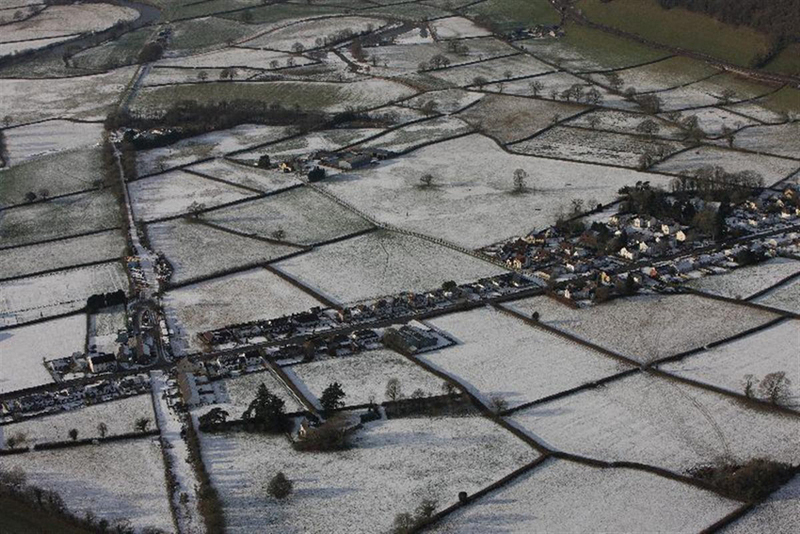 Woonton Almeley: South-West Shropshire Historical and Archaeological Society. Morigi, A. 2011. The Thames through time: the archaeology of the gravel terraces of the upper and middle Thames: early Prehistory to 1500 BC. Oxford: Oxford University School of Archaeology. Muir, Richard. 1983. History from the air. London: Mermaid. Needham, S. 2013. Claimed by the sea: Salcombe, Langdon Bay, and other marine finds of the Bronze Age. York: Council for British Archaeology. NicGhabhann, N. 2015. Medieval ecclesiastical buildings in Ireland, 1789-1915: building on the past. Dublin: Four Courts Press. Nicholls, Alan. 2016. The Lords of Hay. Hay on Wye: Alan James Nicholls. Oliver, Paul. 1975. English cottages and small farmhouses: a study of vernacular shelter. London: Arts Council of Great Britain. Orme, N. 2007. Cornwall and the cross: Christianity, 500-1560. London: Phillimore. Pantin, W. A. 1964. The Halls and Schools of Medieval Oxford: An Attempt at Reconstruction. Oxford Studies Presented to Daniel Callus. Oxford Historical Society, New Series. XVI. Oxford: Clarendon Press. Pfeiffer, Walter & Shaffrey, Maura. 1990. Irish Cottages. George Weidenfield & Nicolson Limited. Ritchie, A. 2006. People of early Scotland from contemporary images. Brechin: Pinkfoot Press. Rowsome, P. 2000. Heart of the city: Roman, medieval and modern London revealed by archaeology at 1 Poultry. London: Museum of London Archaeology Service. Stacey. N. E. 2001. Surveys of the estates of Glastonbury Abbey c.1135-1201. Oxford: Oxford University press for the British Academy. Stenning, D. F & Andrews, D. D. 1994. Regional Variation in Timber-Framed Building in England and Wales Down to 1550. Essex: Essex County Council. Tayside and Fife Archaeological Committee. 2011. Perth High Street archaeological excavation 1975-1977. Fasicule 1, The excavations at 75-95 High Street, Perth. Perth: Tayside and Fife Archaeological Committee. Tayside and Fife Archaeological Committee. 2011. Perth High Street archaeological excavation 1975-1977. Fascicule 4, Living and working in a medieval Scottish burgh: environmental remains and miscellaneous finds. Perth: Tayside and Fife Archaeological Committee. Walton, James. 1998. Windpumps in South Africa. Cape Town: Human & Rousseau. Wiegel, H. 2013. Excalibur: essays on antiquity and the history of collecting in honour of Arthur MacGregor. Oxford: British Archaeological Reports. Whittle, A. W. R. 2011. Gathering time: dating the early Neolithic enclosures of southern Britain and Ireland; Vol. 1. Oxford: Oxbow Books. Whittle, A. W. R. 2011. Gathering time: dating the early Neolithic enclosures of southern Britain and Ireland; Vol. 2. Oxford: Oxbow Books. Wilson, Alan. 2016. Comfort, pleasure & prestige: country-house technology in West Wales 1750-1930. Kibworth Beauchamp: Matador. Young, Jill. 2015. Pembrokeshire’s standing stones. Llanrwst: Gwasg Carreg Gwalch. C20, The Twentieth Century Society Magazine no. 3:2016, p. 70 ff, Listing Reports section. Listed: Theatr Harlech listed Grade II* but the residential tower turned down for listing; Put forward to upgrade Grade II listing to Grade II*: Sea Roads, Penarth, Vale of Glamorgan, a ‘rare example of Welsh modernism’. Current Archaeology no. 323, p. 12: ‘Neolithic life at Llanfaethlu’ – news item on the ongoing excavations in Anglesey which revealed a fourth 6000 year old dwelling; p. 16: ‘Wings over wartime Wales: Discoveries from the sky’ by Toby Driver, RCAHMW; p. 18: ‘Upstairs, downstairs innovations: Exploring technology of Britain’s country houses’ by Chrostopher Catleing, RCAHMW; p. 42: ‘Celtic from the West: In search of the archaeology of a language’ by John Koch, Centre for Advanced Welsh and Celtic Studies, Aberystwyth; p. 64: ‘Sherds’ regular column by Christopher Catling,, this month on ‘heritage’ as a term/ concept, colonial heritage, Trump’s Wall versus Offa’s Dyke, influence and coincidence, and Vatican’s recent ‘Instruction’ on inhumation and cremation.